Worldcon 2015: SFWA President Cat Rambo. Interview with the Supervillain Network. 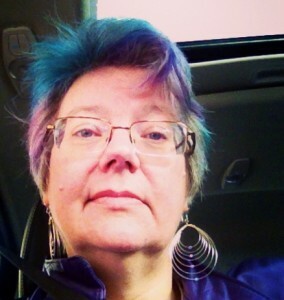 The SFWA Indie Program: An Interview with Cat Rambo and Maggie Hogarth, May 18, 2015. Interview with Cat on the Skiffy and Fanty Podcast, June, 2015. Interview for My Bookish Ways, April 15, 2015. 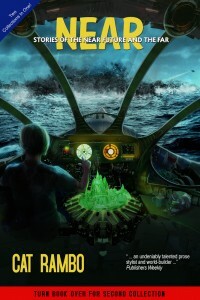 My Favorite Bit with Mary Robinette Kowal, March 15, 2015. December, 2014, Interview with Fantasy Scroll Magazine. November, 2014 Geeks Guide to the Galaxy Podcast with Ellen Datlow and Cat Rambo. April 14, 2014, Interview by Sophie Yorkston for SQ Magazine. July 10, 2013. Interview with Nayad Monroe. June 27, 2013, AuthorsInterview.com interview. Speculate, with Luc Reid, June 10, 2013. On Writing Workshops. May 25, 2013. Interview with Lisa Collins. May 1, 2013. Interview with T.S> Tate for Litstack. January 29, 2013. Interview with Cristian Tamas for EuropaSF..
Kazka Press, October, 2012. 4Q4U. The Skiffy and Fanty Show, 9/25/2012. Cat Rambo (a.k.a. Ms. Furry) – Near + Far (An Interview). AlyxDellamonica.com, 9/24/2012. Off My Lawn! Cat Rambo vs. Writer’s Block. 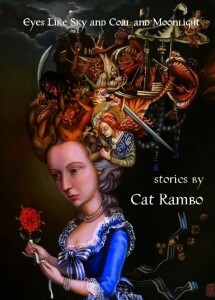 Grasping For the Wind, 9/20/2012, A Chat with Author and Editor Cat Rambo, interview by Bryan Thomas Schmidt. Far Beyond Reality, 9/20/2012, Interview by Stephen Raets. Finding My Words, 9/19/2012, Writer Wednesday Interview with Amber Sistla. Marshall’s Super-Sekrit Clubhouse, 9/18/2012. Interview with Marshall Payne. SF Signal, 9/18/2012. 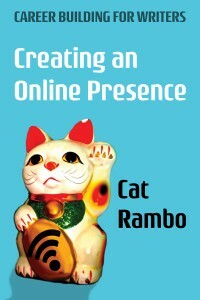 Cat Rambo on Shared Worlds and “The Fathomless Abyss”, interview by Charles Tan. The Burning Hearts Revolution, 9/17/2012. Tolkein Week: J.R.R. Tolkein, the Inklings, and Writing Groups. 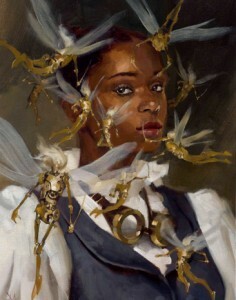 AletheaKontis.com, 7/9/2012, Month of Artist and Author Interviews interview by Alethea Kontis. Litstack.com, 5/1/2012, Interview by Tee Tate. Broadly Speaking, April, 2012, Julia Rios interviews Shira Lipkin, Andrea Hairston, and Cat Rambo for the Broad Universe podcast. Interview with Nisi Shawl for Tor.com, 10/01/2012. Interview with Stina Leicht for SFWA.org, 4/16/2012. Interview with Jason Heller for SFWA.org, 3/15/2012. Interview with Myke Cole for SFWA.org, 3/7/2012. Interview with Norman Spinrad for SFWA.org, 9/5/2011. Interview with Ann and Jeff VanderMeer for SFWA.org, August, 2011. Part One, Part Two, and Part Three. Profile of Greg Bear for HelloSeattle.com, 2/1/2011. Profile of Nancy Pearl for HelloSeattle.com, 1/28/2011. Critiques Are More Helpful Than Bears: Walter Jon Williams on Taos Toolbox for Fantasy Magazine, 10/27/2009. The One-armed Tribe and the Land of Women: Interview with Cindy Pon for Fantasy Magazine, 8/30/2009. Jeff Crooks and the Ham-Sized Fist Award for Fantasy Magazine, 7/28/2009.